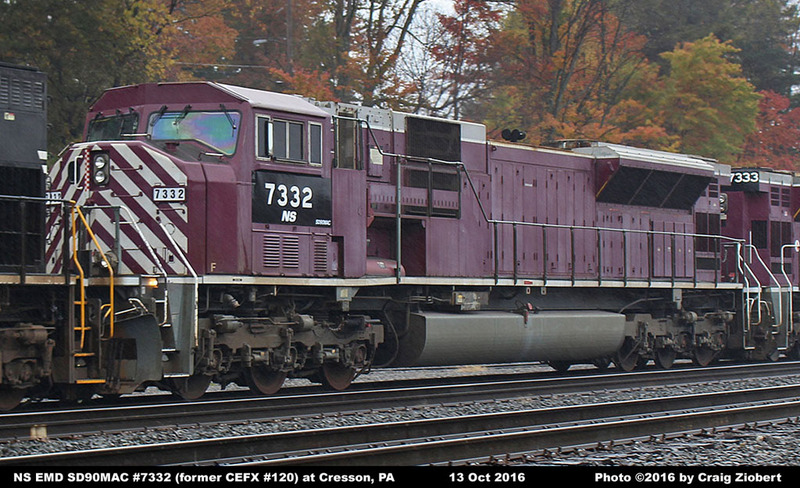 7332 -- -- CEFX 120 12-1999 986927 986927-21 Unit currently undergoing SD70ACU rebuilding at Altoona, PA.
Patch-renumbered and still painted in former CEFX maroon, gray, and white scheme. See numbering note at bottom of roster. began in October 2016 as they were released to service.